MLB IRN GF Union Elbow 90 Female Galv. 1/2"
MLB IRN GF Union Elbow 90 Female Galv. 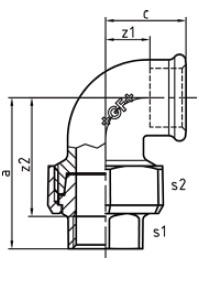 3/4"
MLB IRN GF Union Elbow 90 Female Galv. 1"
MLB IRN GF Union Elbow 90 Female Galv. 1 1/4"
MLB IRN GF Union Elbow 90 Female Galv. 1 1/2"
MLB IRN GF Union Elbow 90 Female Galv. 2"